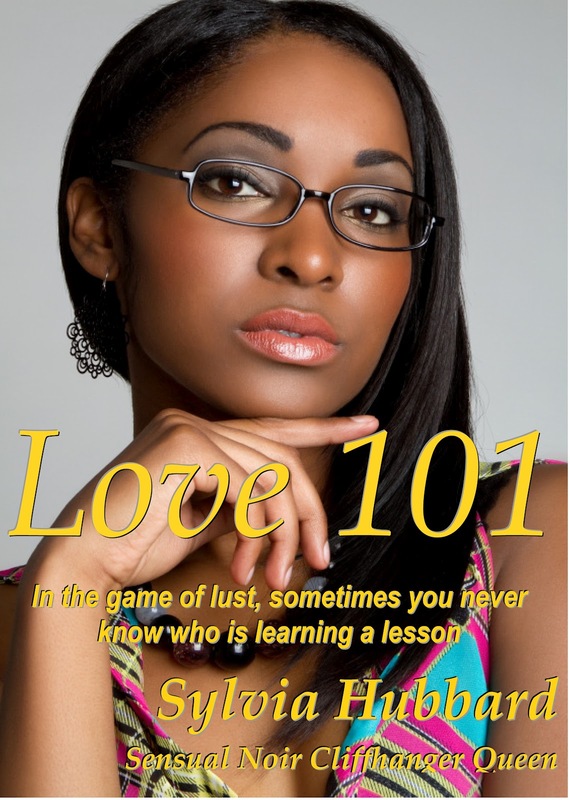 Romance author and Detroit native Sylvia Hubbard has published four paperbacks and over ten ebooks since 2000. She works tirelessly to promote and encourage emerging writers in Michigan through the Motown Writers Network that she created to address the lack of education and networking available for Michigan authors both online and offline. She also co-created The Essence of Motown Literary Jam Conference that is held in Detroit annually. In addition to romance writing, Hubbard has been featured at various conferences and workshops all over the United States and Canada, where she has taught authors how to sell their books on the Internet. In the upcoming year, she will be featured in several anthologies and is also hard at work on additional ebooks. David Weir: When did you start writing and did anyone influence you along the way? Sylvia Hubbard: I would have to say my mother knew I was a writer before I knew. I used to lie to her ridiculously when I was six and after my “physical” punishment, I was handed a pencil and paper and ordered to write my lies down. I started to realize the lies look so much better on paper and stopped lying (which is probably why I have hardly any friends) and started writing. My pain became my passion. I don’t know if I’m glad about the “physical punishment” my mother gave me, but I’m glad she recognized my talents and helped me nurture them. 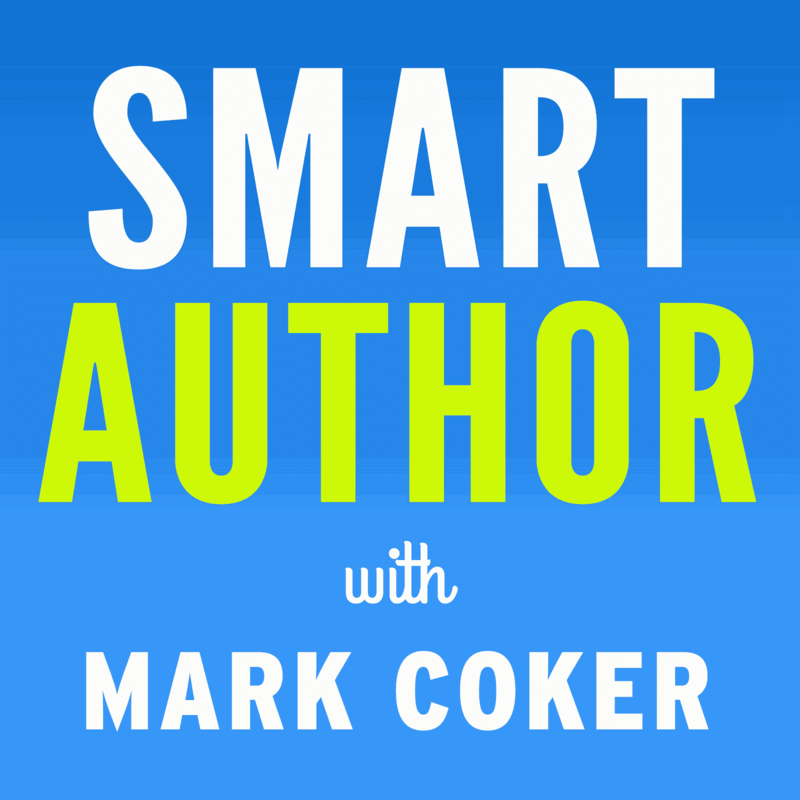 DW: When did you write and publish your first novel? SH: My first complete novel was written in 1999. I had caught the Y2K bug and pushed myself to finish the book before the end of the year. I turned around and independently published that book in 2000 using a vanity service. DW: Can you tell us how and why you got interested in selling books over the Internet? SH: It was more out of desperation than anything. I realized buying my books from a vanity publisher costs A LOT! And since I was unable to afford to buy them in order to sell them, I needed to find another way to get them into customers’ hands. I became depressed and stayed up late nights watching infomercials. Finally one of them seemed to talk to me. “Buy my product and get on the Internet to sell it and you can make millions.” I had a product and I could get on the Internet, but back in 2000 not a lot of people believed in buying books off the Internet and getting the information to market and sell the book to people was extremely difficult. By 2002, I learned about digital downloads and started selling the books that way. Still I was ridiculed as the crazy eBook lady in the Yahoo Groups. Yet, I persevered despite the backlash from other authors. I can say I went through a lot of storms in order to enjoy my rainbows now. DW: Please tell us how you used your early experience and marketing background to create a guide for writers on selling books online? SH: As I studied how to sell books on the Internet, I started keeping an actual journal with articles, terms and suggestions on how to sell products of all kinds over the Internet. By 2005, people were asking me how I was doing what I did. I complied my notes into a book called the Beginning Internet Marketing for Authors & Businesses. 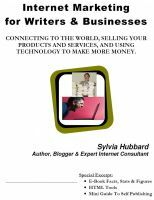 With my degree in Marketing/Management from college, I was already pushing books and applied my knowledge in the book as well to give authors easy-to-understand instructions about getting on the Internet and selling their book. DW: When did you discover Smashwords and how has it helped you connect with readers and sell your books? SH: As an Independent author, I religiously followed Dan Poynter (Editor's note: Read the Smashwords interview with Dan Poynter from three years ago. The future Dan predicted is happening now). In one of his posts, he spoke about his books being available as eBooks and I even though I had three copies of the book, I still checked out where he was selling his eBooks. The link led me to Smashwords.com and when I tell you I think there were angels singing out the back of my computer, I kid you not. I could not believe the opportunity sitting there in front of me and I knew I had found THE solution of having my books not only in one place, but distributed professionally & properly. DW: What are some of the specific challenges African-American writers have faced in the traditional publishing industry? SH: Lack of education and lack of trust in the systems. With so many [African American writers] being disheartened by the predatory paper and eBook [vanity] publishers, AA writers would rather keep their books off the shelf than trying to trust others with their works. DW: What opportunities do you see for African-American writers with independent ebook publishing? SH: The opportunities are ENDLESS. African-American writers have the chance to become equal to the competition, which has felt so indomitable in the past. DW: When it comes down to it, do you think we will we ever reach the day, as a society, when authors and readers alike become totally colorblind? SH: Call it naivety or just filled with endless hope for the better, but I actually and honestly do feel that way. Often readers of other races have told me by the time they finish a story, the author’s color wasn’t an issue for them because the story was just that good. I think if we all had faith even the size of a mustard seed in the hope of better we would all become just a little colorblind. SH: I became interested in the romance genre when I was ten years old. There was this cover at the library of Fabio holding a woman and I just knew I had to have this book. Unfortunately, the librarian was doing her job and refused to let me check out the book. Obsessed, I came back and stole the book (but later returned a newer copy years later). I read that book until the pages fell out the binding and I knew I wanted to write those stories that made the heart soar, the mind dream and the soul stir. I knew I couldn’t write historical and I loved suspense, so I centered my writing toward sensual noir where danger was abound yet love was inevitable. I find my characters by taking two people with faults the other would never stand for and weave a heart stopping page turning story around bringing them together. DW: To what extent do you use social media and blogging to connect with your readers and fans? SH: With social media, I give my readers a little of myself – the woman behind the stories. I glimpse into my ordinary, yet unique life when I’m not writing books, and keep them updated with what is coming up next for me in my literary world. For blogging, I do the same as well, but also provide a platform for the readers to really ask me questions, while I write. At least twice a year, I try to do a live story for my readers on my blog where I actually come up with a story off the top of my head and just write on a daily basis until it’s done. Readers are given a chance to become interactive and enjoy the story as I write and even criticize (nicely) what’s going on in the story. I don’t mind them challenging me and letting me know if I’ve done something wrong, because it’s really all about my readers. Giving them a chance to see inside my head has been a wonderful challenge for me to write a good story. DW: Can you tell us about your upcoming "Live Story" project on your blog? SH: In August, I will take on the challenge of Camp NaNoWriMo.org. For 30 days, I will write a live story for the third sequel to the Mistaken Identity series. I’m pretty excited about it and can’t wait for August 1st to thrill my readers (and myself), with what I know will be a great time online. DW: Can you tell us about the Motown Writers Network and other efforts you make to connect writers with one another in Michigan and beyond? SH: Back in 2000, when I independently published my work, I found there were few opportunities to network with other writers online. I started to build a website (more or less for myself), to keep up with all of the authors and resources around Michigan that writers needed to write, publish and sell their books. After a while, others started asking me for updates on the site and I made a newsletter to send out to 75 people that year. I called the website Motown Writers Network. In 2004, I took the organization offline and from the money in my pocket every year, I produce The Essence of Motown Literary Jam in Detroit where readers and writers can come to together to celebrate the written word. We have book drives, give away eBook readers and give independent authors a chance to showcase their work. I proudly celebrate twelve years of Motown Writers Network and The Michigan Literary Network strengthening the literary community locally and beyond. 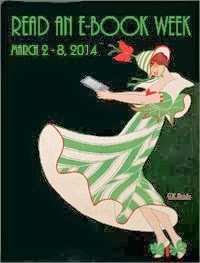 We feature Michigan authors on the website and on our Internet radio station; we announce literary events at libraries, with organizations, bookstores and more. We hold book drives and increase illiteracy awareness in Metro Detroit. We hope to have our own social network by the end of this year, and plan to start producing our own video to help even more authors in Metro Detroit publish their own books. Currently, we have over ten thousand subscribers to our newsletter updates and I hope more is to come for us. DW: What's your favorite part of being an independent author? SH: Hearing feedback from readers. Not just the reviews, but the emails and fan tweets I get about how they enjoyed the stories I’ve written. DW: Can you give us a glimpse of your future plans and dreams as a writer? SH: Just like any writer, I hope to produce more award-winning bestselling books on a greater magnitude. I’ll be finishing up the Stealing Innocence series hopefully by the end of the year and then bringing the Bellini saga readers have been waiting for to life. Soon, I’ll venture more into video and bring real life depictions of my stories to readers in short episodes on YouTube. I’m pushing my Sweet Justice video to film fairs and festivals As always, I’ll have more eBooks than paperback books because I keep up with the news and I know electronic books will have an even greater impact in our future. I can’t wait! I really enjoyed this interview. Even though I know Sylvia personally, I still manage to learn a lot more about her after reading an interview. Congrats Mentor. Im just honored and overwhelmed being interviewed. Thanks Mark and David so much for the opportunity to highlight me. It was a great interview. I'm curious to know how well we black authors are doing. Are any of us managing to make a living at writing in this new tech age? Are we tied close to one genre or are we crossing over? We've yet to be one of the breakout novelist that seem to erupt on a weekly basis. Can we be just writers or do we have to be "black" writers? In the old days, one might have been discovered and promoted by an agent. But now how is the best way to be discovered by a lot of eyes? Are we being passed over because our stories are being perceived as just ethnic stuff? I could say I've gotten some "nice" payments from smashwords alone due to my promotions through book bloggers. I've found they are even more colorblind and promote you just the same as any other book they feature on their site. This is where I've found "a lot of eyes." A good story is a good story AC no matter what color the author is. Great interview, Sylvia! I've known you for years and you've always been one of the most positive authors. Thanks for representing us writers of color who just want to be seen as a "writer" and not a race! AC, there are a lot of black writers doing well in digital publishing and publishing in general. As for your other part of your statement, I think to some people we will always been seen as "black" first and writer second unfortunately. I don't think blacks are tied to one genre unless they allow themselves to be. Some publishers don't accept blacks writing certain things but that doesn't mean it has to stop us. Now let me stop hijacking Sylvia's post. LOL! Love the interview. I am still learning about promoting and reaching out to readers. Stacy you can highjack whenever you feel like with a comment like that! Thanks so much for taking the time. And Melissa, it's all a learning stage, but taken step by slow step it does build and come back at you. I love how promotion I did three months ago turns around and brings positive book sales. when they said Patience is a virtue I think they meant virtual because promotion and marketing on the internet takes a lot of patience. Start first by downloading and reading The Smashwords Book Marketing Guide http://www.smashwords.com/books/view/305 and then go from there. Great interview. You are in for an avalanche of book sales now....get ready, get ready, get ready. YOU Go, Sylvia! Thanks so much Stefanie & Pam! I love your support and blessings!